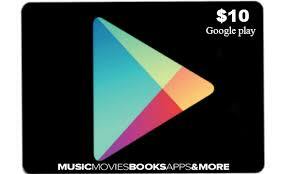 Google Play Gift Card of 10$ USD for American (USA) accounts. You get scan(!) of the card code instantly after payment.